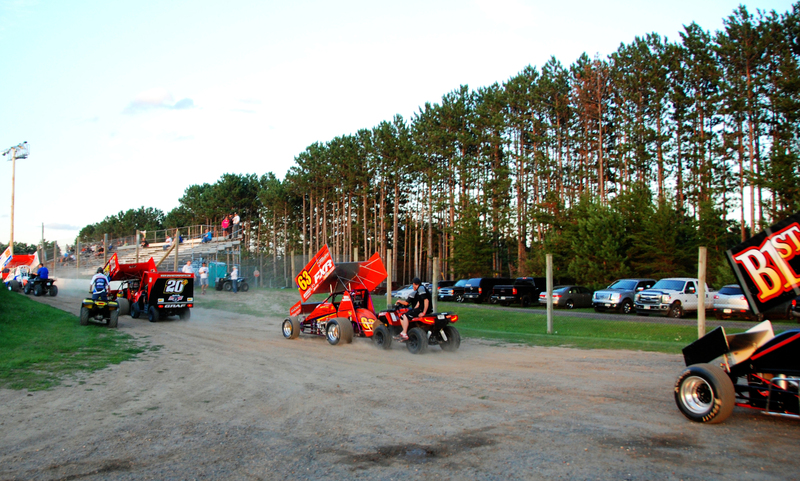 We were visiting Brainerd Minnesota and learned that the Sprint Cars were going to be racing the same weekend we were there. 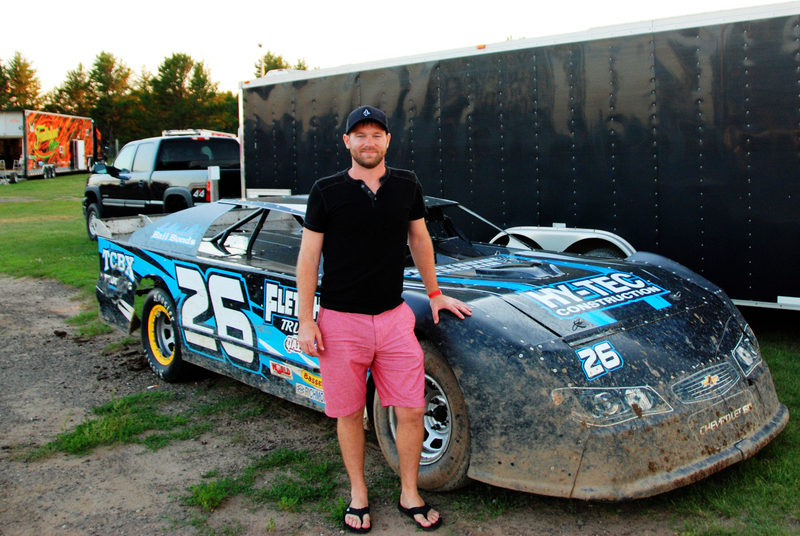 It also happened to be at the same Raceway that my best friend Justin use to race at. 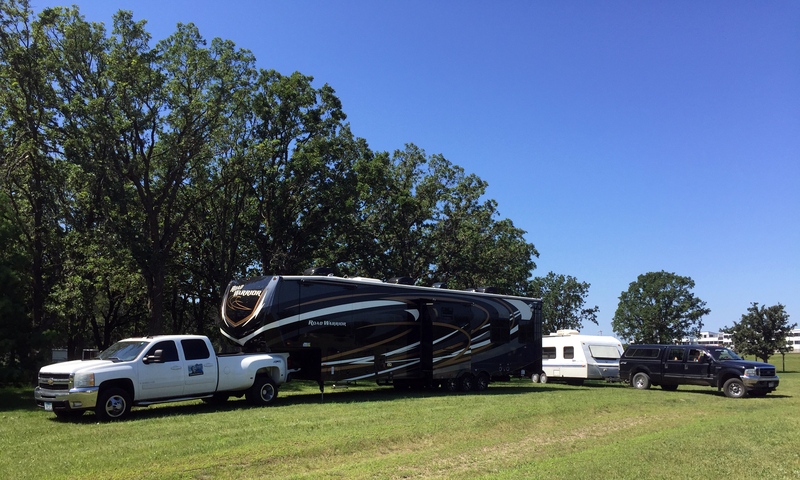 So we called him up to load up his family and their travel trailer to meet us and make a weekend of Boondocking at the North Central Speedway! Boondocking is a term used for camping in an RV without the use of hookups. 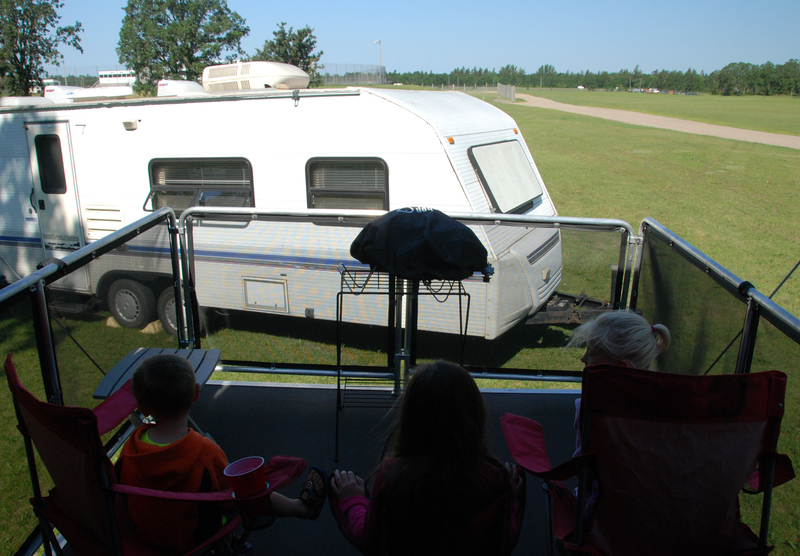 Raceways are great for watching car races but also giving people the ability to turn it into a camping adventure. This is especially great for people who are tailgating or traveling a distance that isn’t convenient to drive home late at night. Besides, isn’t any excuse to turn an excursion into a camping trip a good idea? This particular Raceway has two areas for Boondocking. 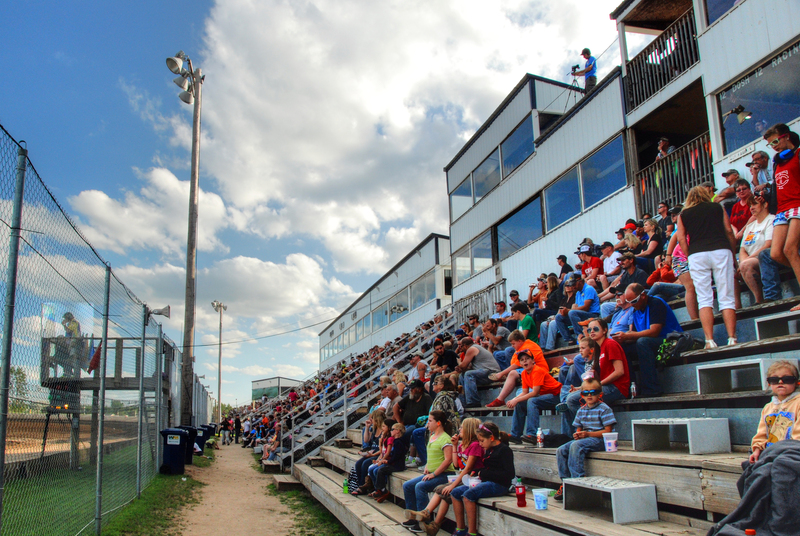 One area is next to the track where you can watch the races from your RV. The other area is a HUGE area that looks like a campground on the property. Both areas are FREE to park your RV! It’s easy to enjoy Tailgating when you have all the conveniences of home just a few steps away. 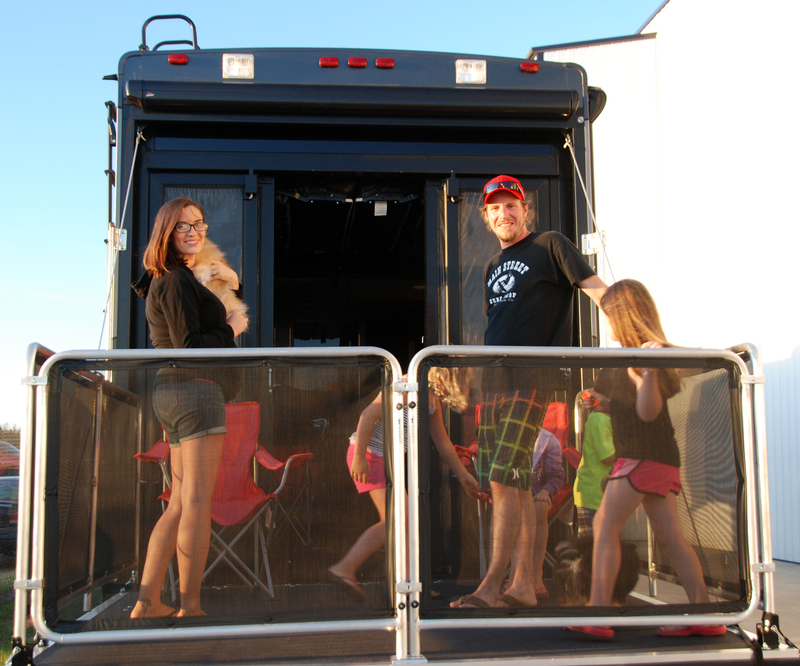 The RV Decks really are a tailgater’s dream come true. 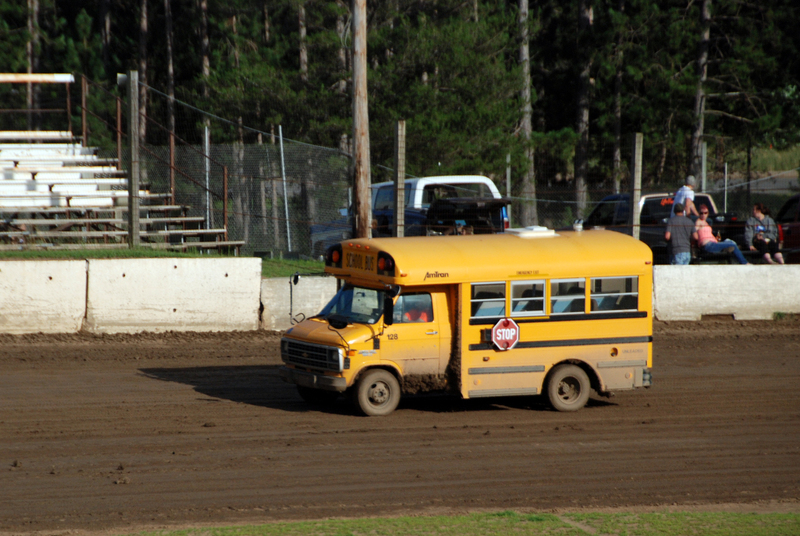 When we first got there they had this old bus running laps to get the track ready for the cars. They do a great job to entertain the race fans. On this night they had a WWE Wrestling themed event where the winners of each race received a Belt given to them by one of the fans. 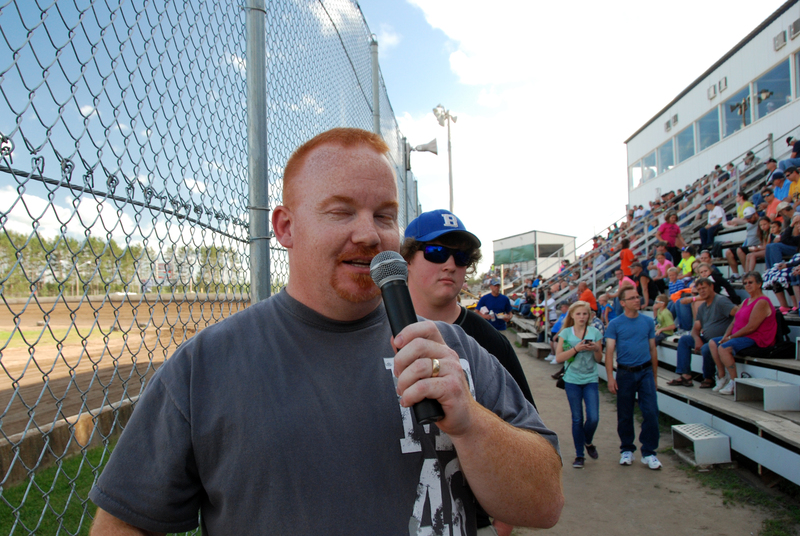 We became part of the entertainment for the crowd as they interviewed us about our travels. You can upgrade and purchase a Pit Pass which allows you to go “backstage” and see what goes on behind the scenes, meet the racers, and see the cars up close. 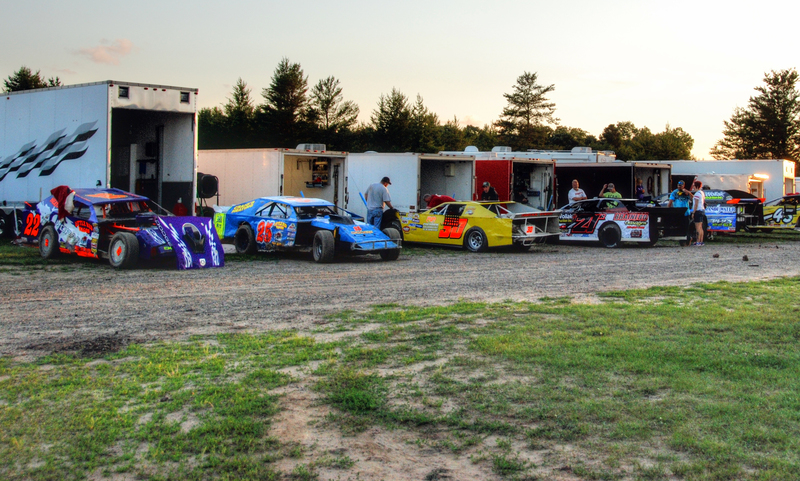 Many of the racers and their crew camp at the track. I was even able to jump into a car to see how it feels in the driver seat. Did you know that for the safety of the drivers they don’t have doors? The only way in or out is through the window. 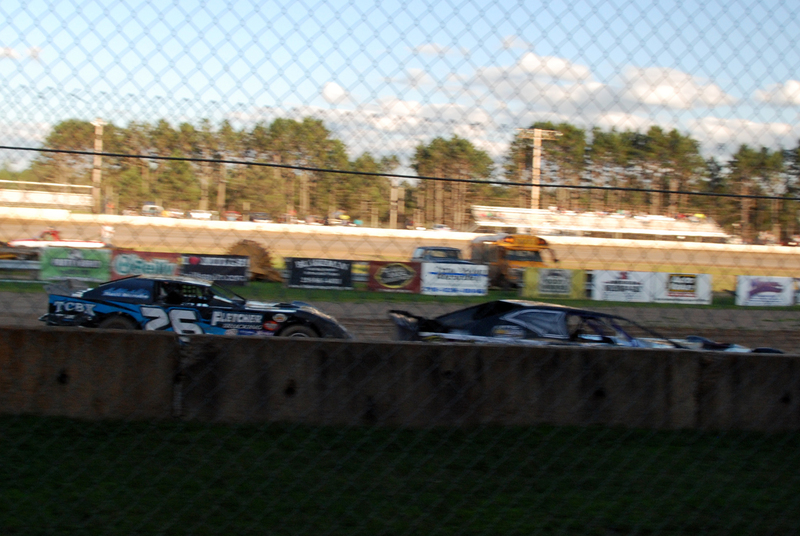 It was so fun to watch these cars fly around on the dirt track. We played a game of before each race picking the car we thought would win and cheering them on with no prior knowledge of how good they were. 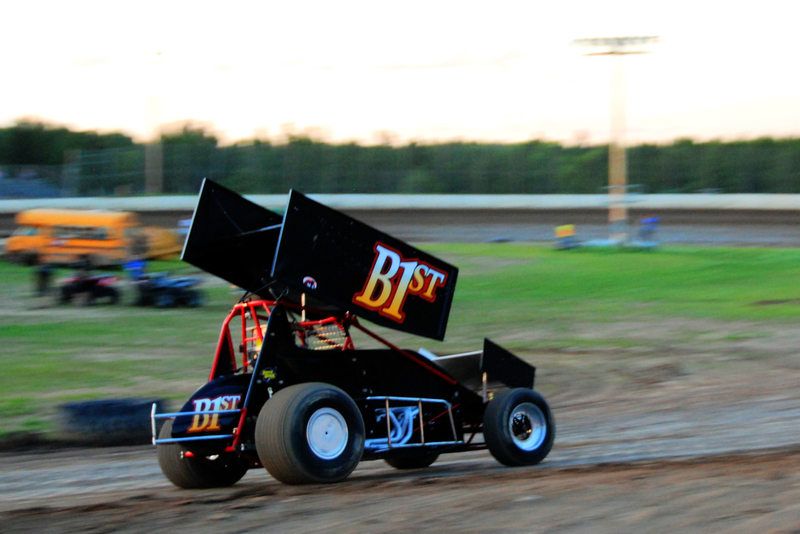 But the big draw was watching the sprint cars. 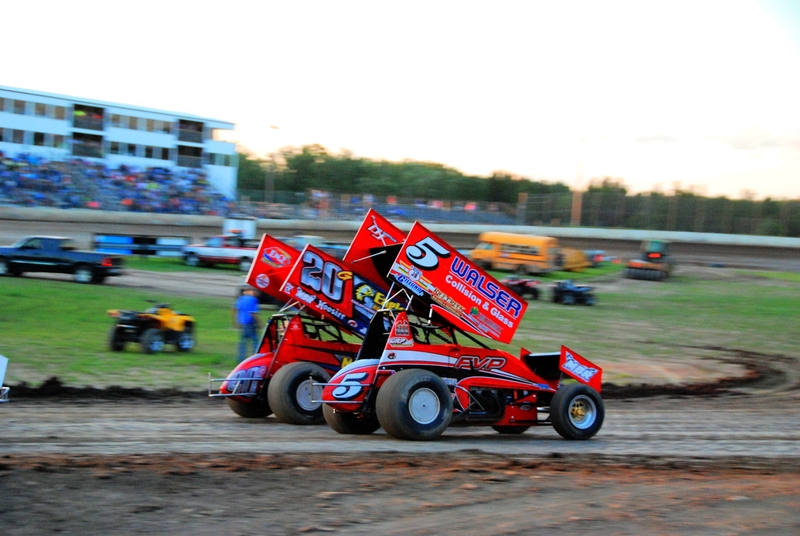 They are so fast and fun to watch! I found it interesting that they can’t start on their own and are pushed by a 4 wheeler to get them started. 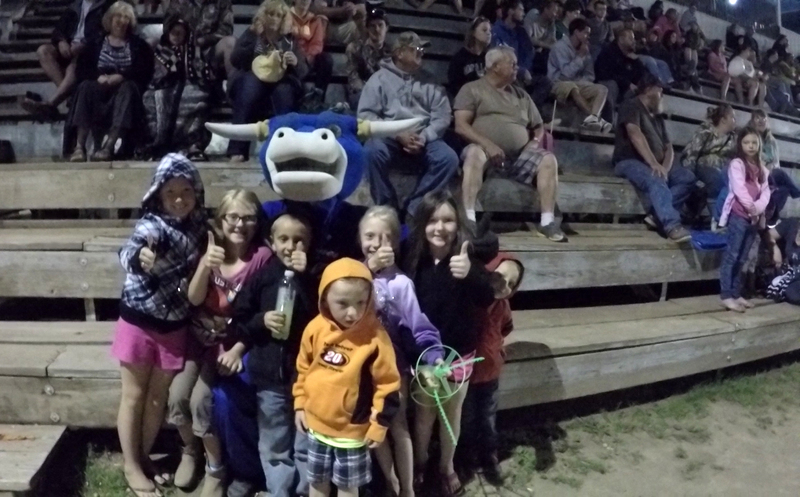 The kids LOVED spending the weekend at the races! This was Danielle’s first time going to the races. She had a blast watching the races and of course turning it into a great camping experience with our friends!